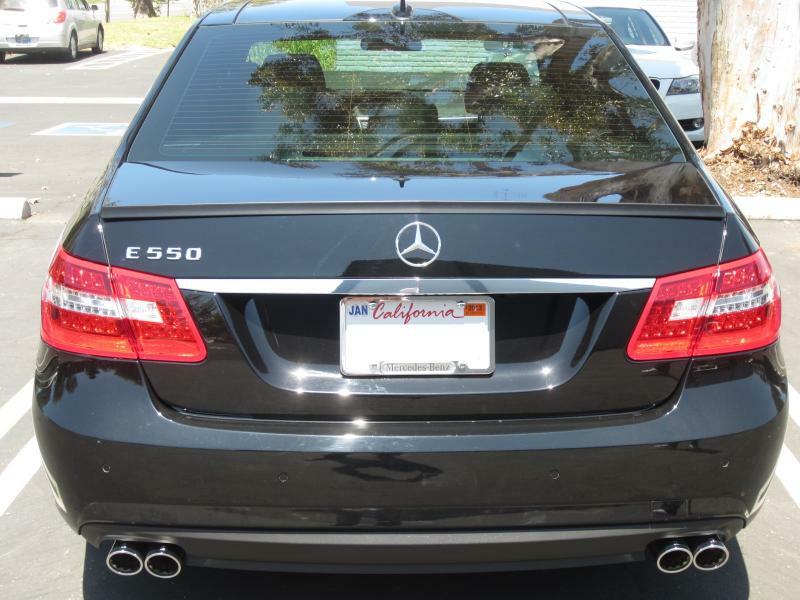 I finally got around to getting the BRABUS Exhaust for my 2010 W212 E550. 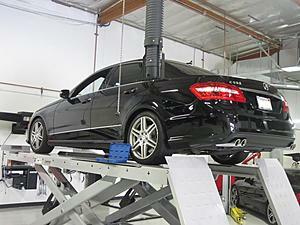 I purchased it and had it installed at BRABUS in Irvine. Those guys are first class all the way. I also got the BRABUS Doorpins and Pedal set. The exhaust is just sick. It really lets the E550 breathe and sound like the 5.4L V8 engine that it is. 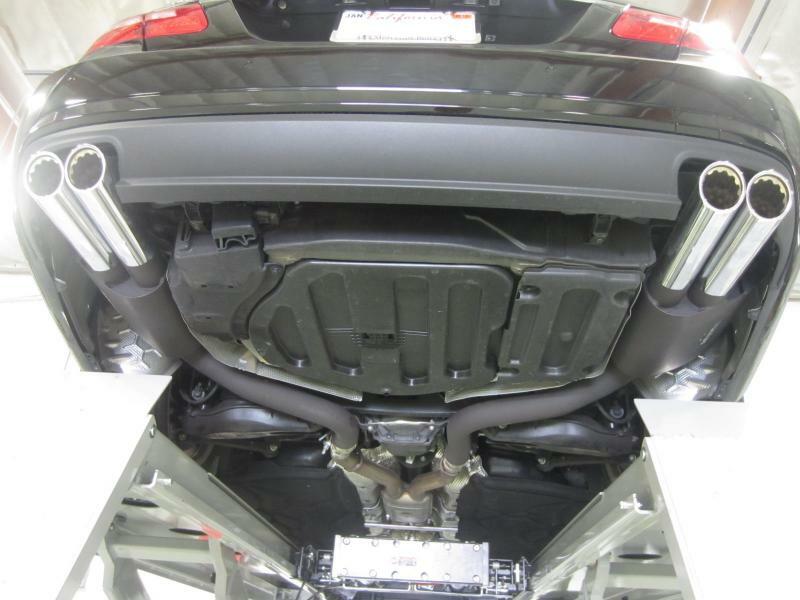 It has a low exhaust rumble at lower RPMs and actually gets quieter at higher RPMs/highway speeds. Perfect for a daily driver. Last edited by SoCalCLK; 08-26-2012 at 04:49 PM. 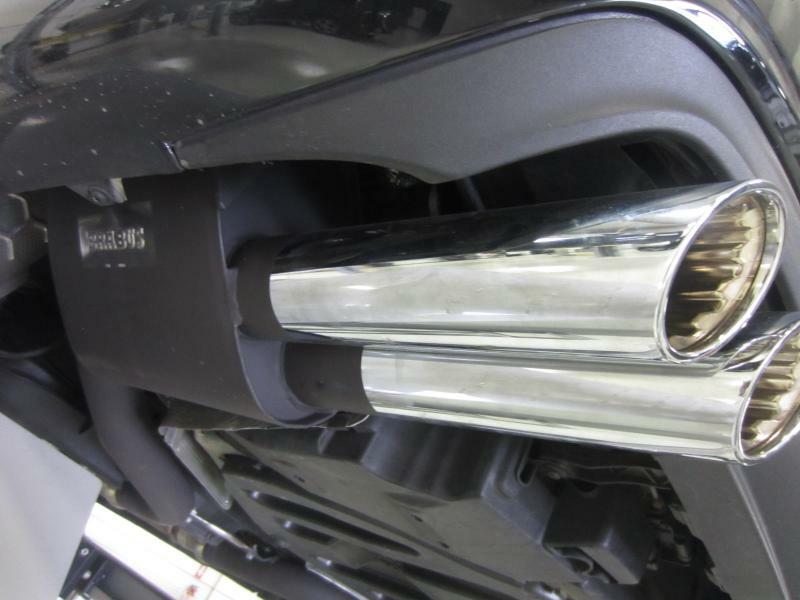 What was the cost of the exhaust? 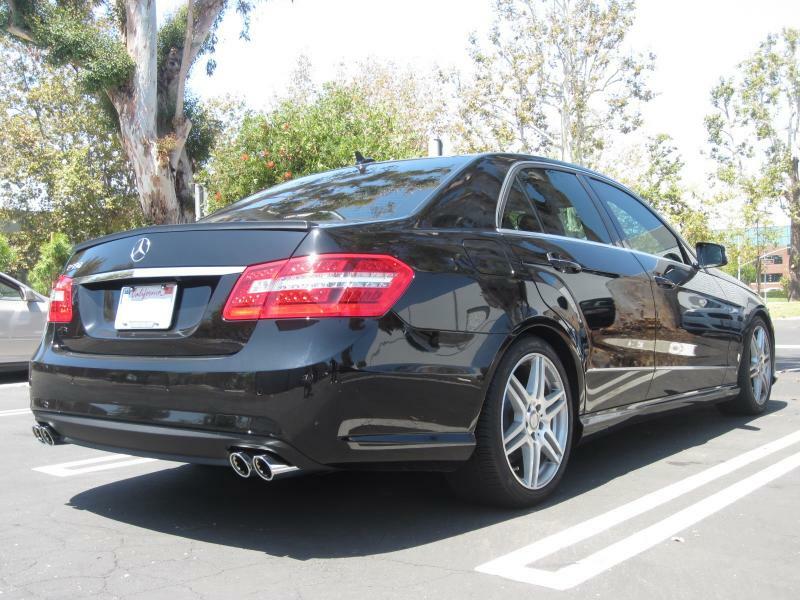 Do you have to use those tips or can they keep the stock ones or use AMG ones? From a pictures perspective and an engineering point of view that looks (OEM) awesome. Couldn't get more seemless. Great detail pics. Thanks, Troy. That was my goal when choosing an exhaust. I've got clients to take around during the week and a baby (my daughter) during the weekend. I wanted something clean and OEM. Brabus has a lot of experience in working with Mercedes and it shows. X2 Please. Local in OC so would be an easy upgrade. How's about we all meet up for a mini demo? a 550 meet would be killer.......take some pix! That's probably a good idea. Mainly for the locals. I'd like to check out your car as well! What/when did you have in mind? I would be game for that as well. Heavy travel the balance of this month but available after 9/2. I'm pretty flexible on time, most nights after 7pm. What location in the OC is most convenient for you? I'm in for a meet. 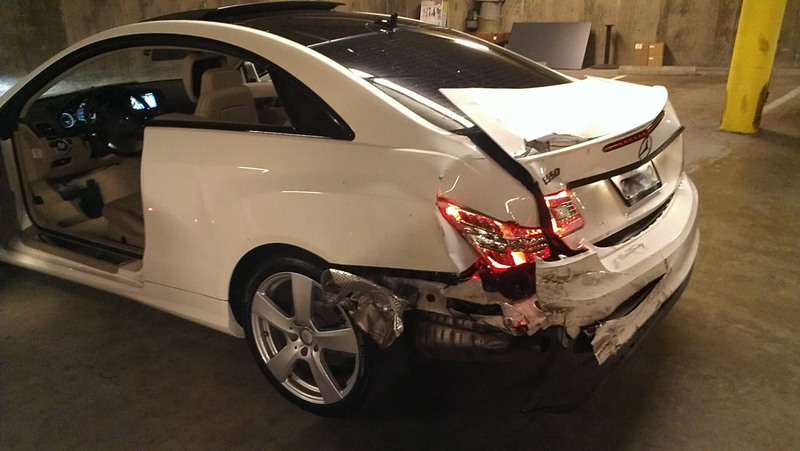 I have a 2011 e550 coupe that's been chipped by that one Aussie dude out in the Valley (Jeremy? I think is his name)....are you in Irvine? Would like to meet up to hear the exhaust. The coupe (with chip) is as fast as my buddies x6M going 0-70ish. (non launch control on his end). Last edited by e550coupe550; 08-14-2012 at 09:30 PM. Last edited by BenzV12; 08-15-2012 at 04:22 AM. i contacted BRABUS, exhaust is $2795 + $300 installation. Sorry, but I've been busy. My apologies for not responding to your request sooner. 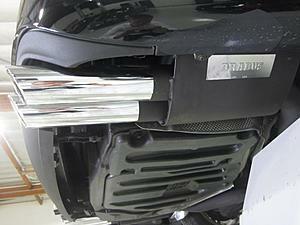 I was going to recommend contacting your favorite Authorized Distributor, or Brabus directly. Glad to hear that you contacted them and got your question answered. I will say that I got a better deal than that. Sorry for not being able to disclose further info. Weeknights after 7pm work for me as well. Thursdays work great. Saturday mornings as well. We should think of a place in Irvine or Newport, preferrably near a place that serves cold beer. There are plenty of places at the Spectrum that serve beer. A Saturday morning (b'fast) early next month would be ideal for me but if you guys pick a night I'll try to make it. My ride is pretty plain with exception of the integrated radar detector unit and aftermarket parking sensors I was waiting to do wheels until after I needed to replace the stock tires. Windows need to be tinted but I haven't made time to get it done. We are an Authorized BRABUS dealer, if you would like a quote, please PM us for details.